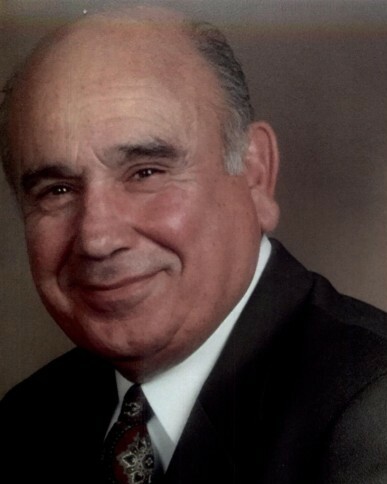 Louis Carotenuto, 92, of Holmdel passed away October 20th at home. He was born in Naples, Italy to the late Alfonso and Jennie (nee: Albano). Louis proudly served his country during the European Theatre in the U.S. Army during WW II, and upon returning home he continued to work as a Barber for over 60 years in the Belford section of Middletown. Louis is predeceased by his beloved wife Ruth (nee: Dwyer) in 2008 and his sister Carmela (Candy) Provenzono. He is survived by his loving children and their spouses; Carol and Michael Bowie; Alfonso R. Carotenuto; Debra J. Prusek; Louis Mark Carotenuto and Bonnie; Michael C. Carotenuto and Linda. Also surviving are his dear grandchildren; Michele, Sean, Louis, Michael, Julia, Giovanna, Alyssia, Renae, Theresa and Robert and his great grandchildren; Grace, August and Noor. All arrangements were private as per the family wishes.